Calling all 1st Grade Teachers who are ready to TRANSFORM their ELA block! 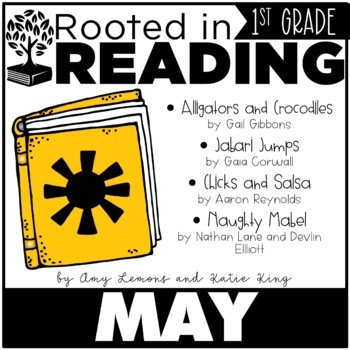 Rooted in Reading for 1st Grade gives you everything you need to facilitate a love of reading in your classroom. We’ve got lesson plans, activities, crafts, and printables that focus around a read-aloud story each week. The teacher READS the book throughout the week and models how to think deeply, ask questions, monitor comprehension, and so much more. Each week we focus on different comprehension skills and strategies that will take your little learners on a reading journey like never before. All lesson plans and activities are aligned with the Common Core Standards and TEKS. This can be used as a stand-alone curriculum OR as a supplemental curriculum. You can do ALL of what we include or pick and choose the activities that work best for you and your students! Want to know more? Check out below! **Please Note: The week of Alligators and Crocodiles is formatted differently. There is not grammar. 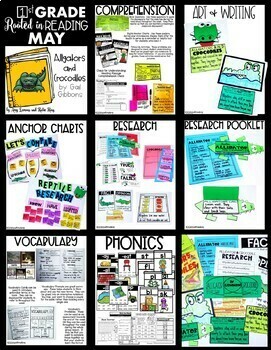 There is a large focus on research instead: Research Printables, True/False, Fact, Opinion, Etc. What is included in the MAY unit? Look below! 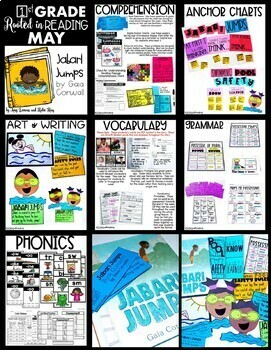 Each week is a review week of phonics learned throughout the year. Students will review the blends, digraphs, and word families. The preview shows all of the word families and blends that are reviewed in this unit. Ⓠ There is SO much included, how do I fit it all in? Ⓐ: Please do NOT feel like you have to do everything we put into the units. We try to include everything that a teacher might want, but we realize it is A LOT! We suggest combing through the units, looking at the expectations of your school/district/state, and deciding which activities would be best for your students. We do NOT recommend printing class sets of everything, hoping to get to it all. Choose the things that you think YOUR students need, that will be most beneficial, and start there! Several components can be used during stations, for morning work, or even as homework. Others you may choose to just set aside for another time or not use at all! That’s okay! We want this to work for you AND your students! Ⓠ Do you have a year overview and planning guide? Ⓐ: Yes! We sure do! You can find the list of books for the year, the skills we are going to hit, and the standards (Common Core and TEKS) we will cover below! Please note that as units are created we may switch things up a bit! The TEKS that the units are aligned to are the TEKS that were adopted in 2017 and will be put into place in 2019. These are NOT aligned with the old TEKS. 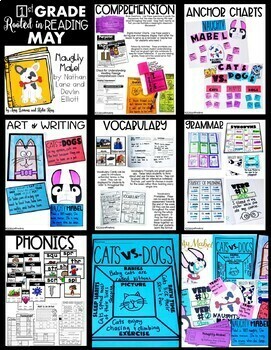 Ⓠ How are these units different from your 2nd and 3rd grade units?